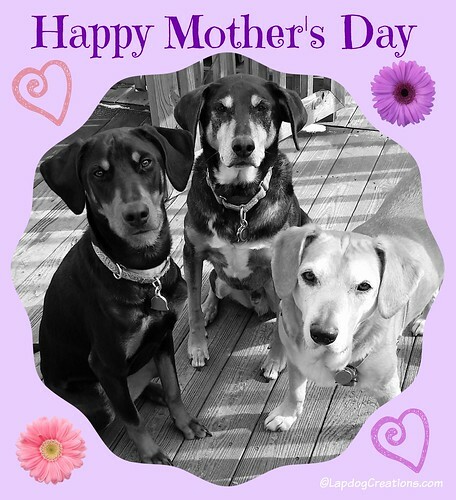 The Lapdogs would like to wish all of the Moms - of both 2 and 4 legged kids - a very Happy Mother's Day! Enjoy your day! Happy Belated Mother's Day! Love the b&w art. Precious baby faces. Hope you all had a wonderful Mother's Day!